While cruising around at doomworld.com looking for something else, I saw this thread: ‘Recovered’ DOSDoom 0.2. So I quickly built it with my MinGW32-DJGPP using GCC 3.4.5. 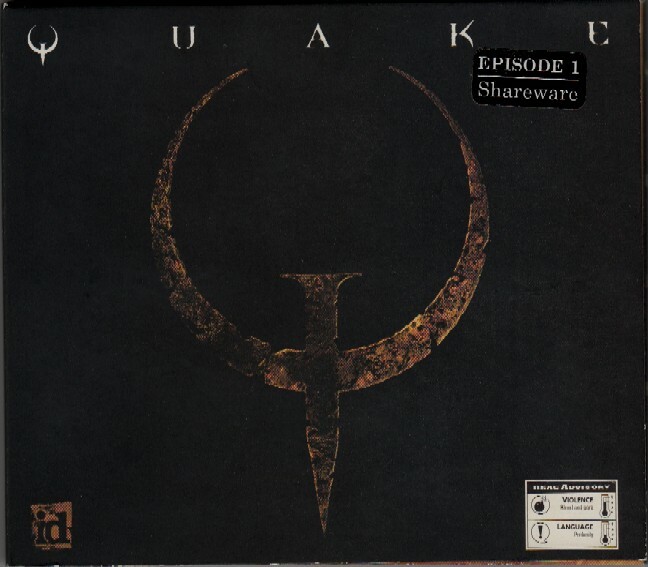 And this version needs the Allegro library as it has sound effects audio! Although building Allegro needed GCC 2.7.2.1 and Binutils 2.8.1. Using other versions just led to nothing but trouble. I ended up just installing DJGPP on DOSBox to build Allegro which took … a whlie to build. 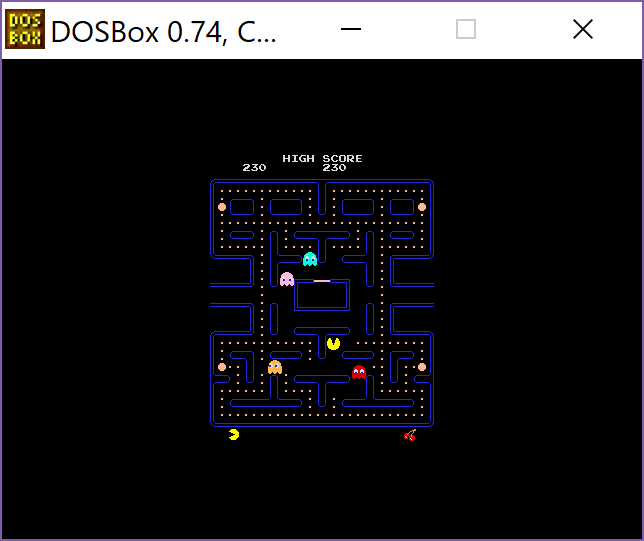 Although being able to cross compile dosdoom from Windows was far far far quicker. So yeah, it runs. With sound. It’s great. Allegro integration isn’t anywhere as near complete at this point it’s just the sound files. I took a much later version of dosdoom’s MIDI code, which required the Allegro timer, which interfered with my older timer IRQ hook. 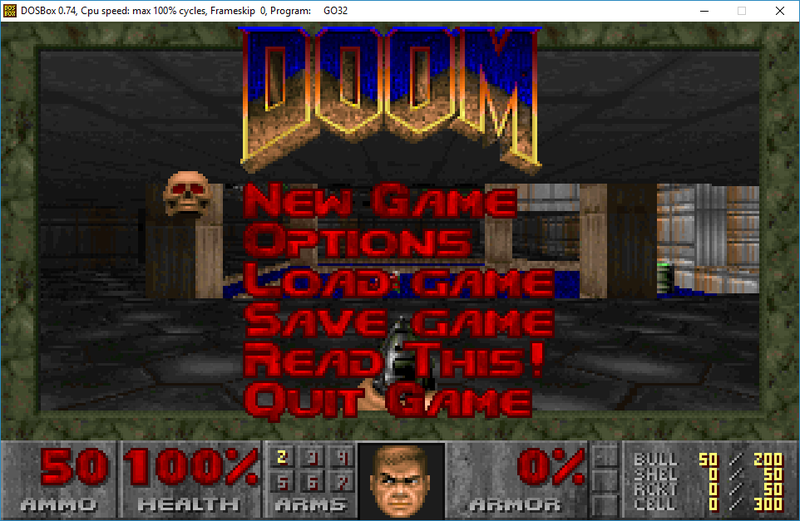 Converting the whole thing to use the Allegro timer, and keyboard wasn’t too difficult, and that gives my DooM source fork a really full feeling when using DJGPP v2. Although I’m having issues uploading from China at the moment. Inspired by Building and using a 29-year-old compiler on a modern system, i thought I too could get this ancient version of GCC working. 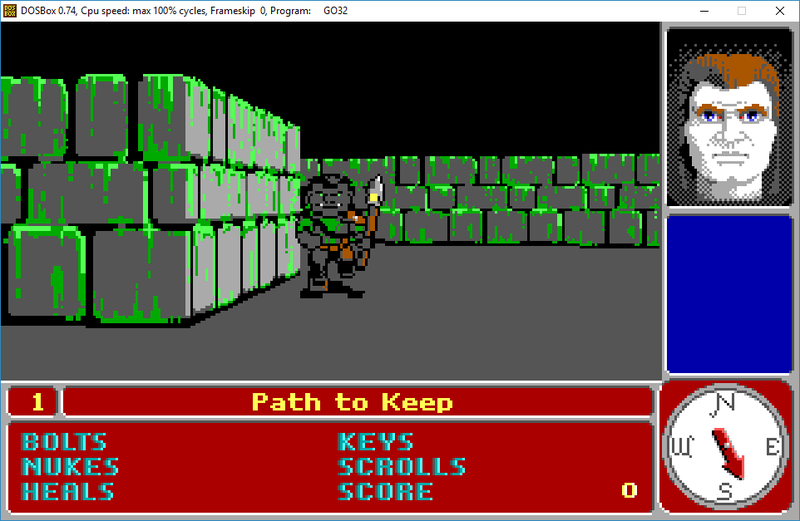 At the time I never had bothered with the older version as I had always assumed that there were many fixes and adaptations to GCC for it to run on MS-DOS via GO32/DJGPP. However after doing this, its obvious that GO32/DJGPP was rather built around GCC’s stock output, which would sure make a lot more sense. And it turns out that the target machine being an i386 Sequent running BSD is the best match, both in turns of underscores, and debugging format. At first I had tried the AT&T SYSV i386 target, however it couldn’t link anything from the standard libraries that DJGPP has as they all have a leading underscore. 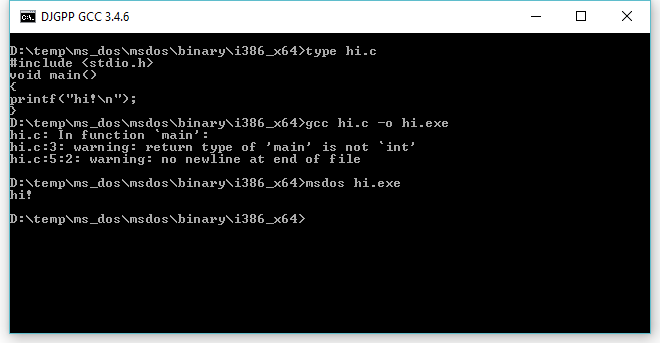 After starting to mess with internal macros to turn things on and off, and re-define how various portions of assembly are emittied, I found the Sequent target and went with that and everything was fine, and using the existing build infrastructure for GCC 1.39 I now could actually run hello world! GNU C version 1.27 (80386, BSD syntax) compiled by GNU C version 5.1.0.
hello from DJGPP v1/GCC 1.39! Wasn’t that great? Then going through my ‘test’ programs I went to try to build the infocom interpreter, and that is when things went off the rails. gcc_v1: Program ld got fatal signal 1. I’ve had some issues with GCC and these ‘built in’ functions before. This was an early major stumbling block back in the x68000 GCC days, where after a lot of searching I was able to find 68000 versions of various math routines that were in the native Hudson Soft assembler to link in. While GCC 1.x does have a libgnu/gnulib to include these functions it warns you over and over to not use GCC to build them, but rather the native CC. But the problem is that I don’t have a native CC. I ended up having to removing a single underscore, but now I could link infocom, and even better it runs! 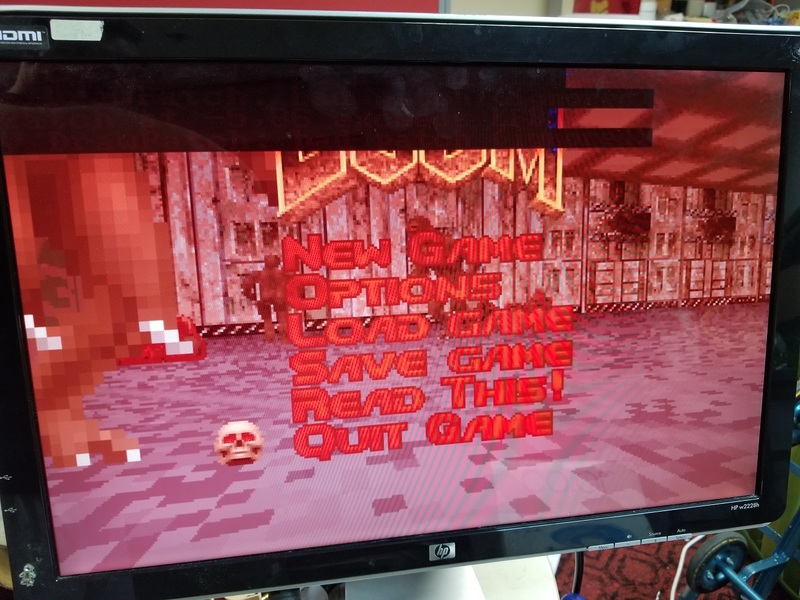 Wanting to try something far more exciting, I went ahead and tried to build DooM. However GCC 1.27 has an issue with m_fixed.c I fired up GDB to at least take a look, although I’m not sure where the fault lies. So I assume some error with constrain_operands? Not that it makes it any better. However I know this one file compiles fine with 1.39, and since we are on the i386 another alternative is just to used the assembly version that was hiding in the readme..
And much to my amazement, it works! Keeping in mind that this is using an a.out tool chain, along with the last DPMI enabled GO32 extender. Considering the compiler dates back from September 5th, 1988 it’s really great to see it running. 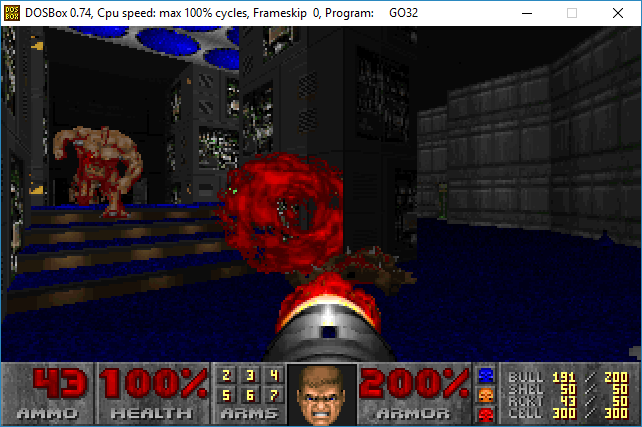 I’ll have to upload source (GCC 1.27/DooM) & binaries later. 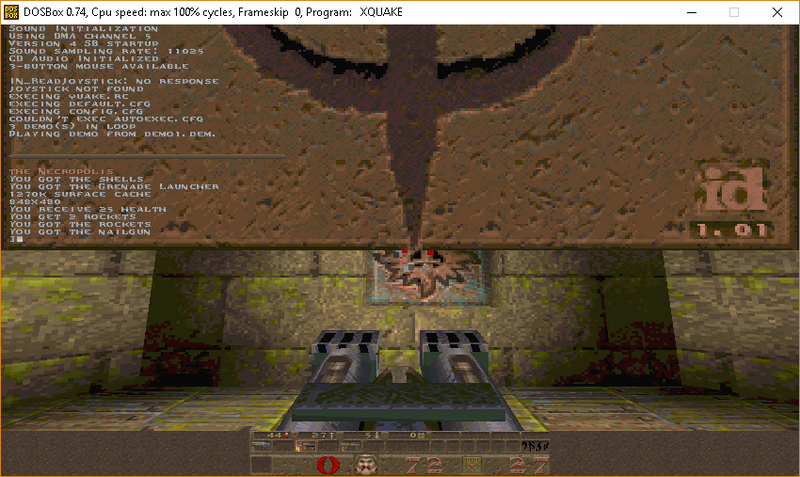 But I imagine it should also run on EMX/RSX for a Win32 version.